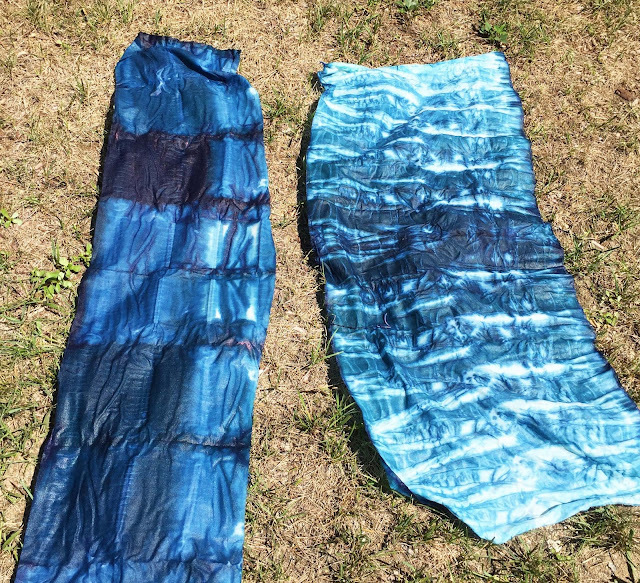 Today I want to show you some fabric dyeing. 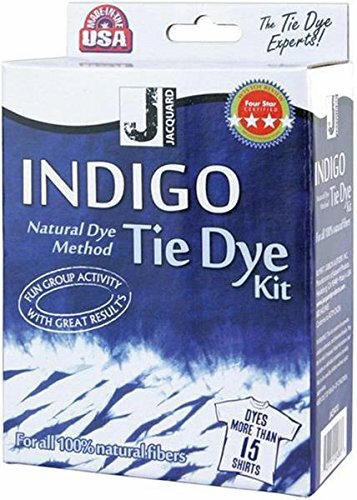 I bought one of these indigo dye kits off of Amazon last summer, and never got around to experimenting with it. I had even bought a bunch of white cloth for dyeing. So this summer I decided it was going to happen. 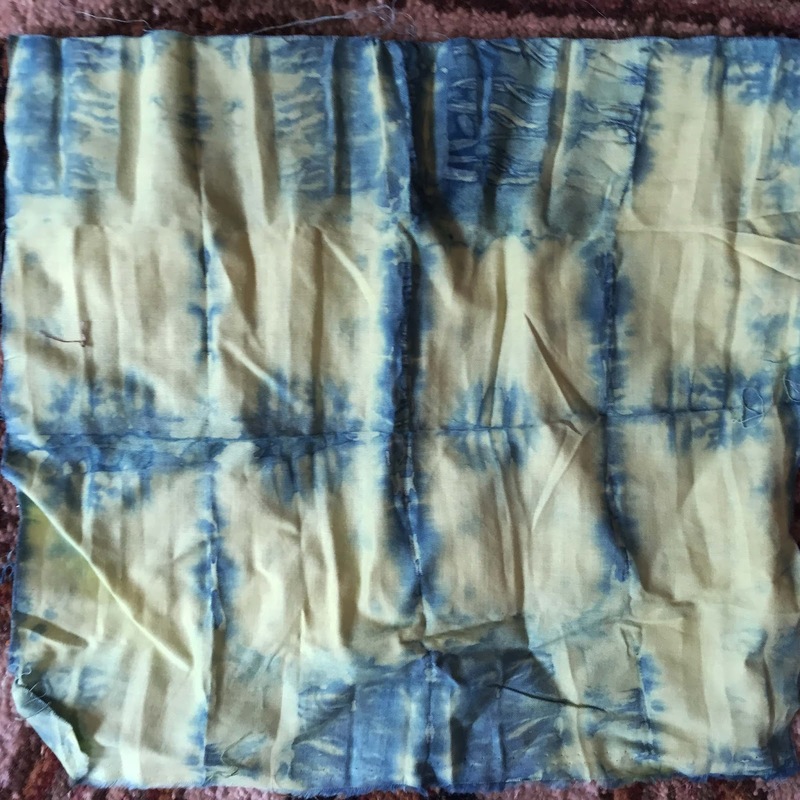 First thing I learned using indigo dye is that the dye looks more greenish yellow in the bucket. 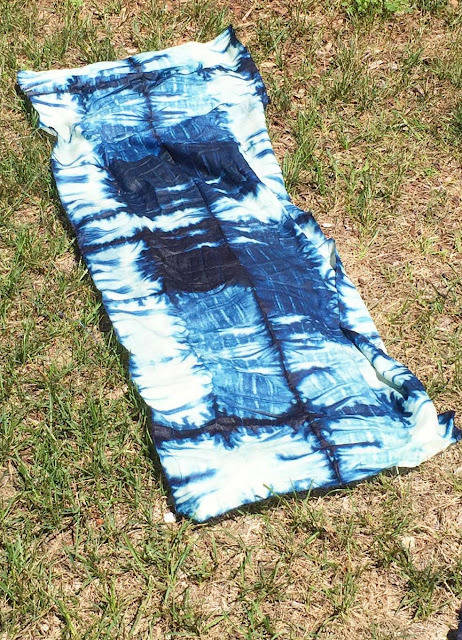 The blue color actually comes once the dye gets exposed to oxygen and oxidation occurs. 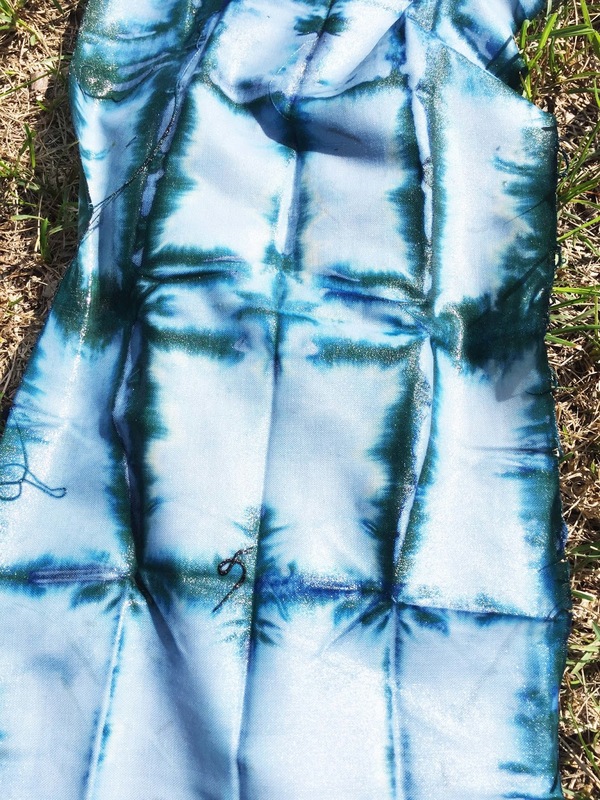 You can see the green turning blue here on this dyed piece. 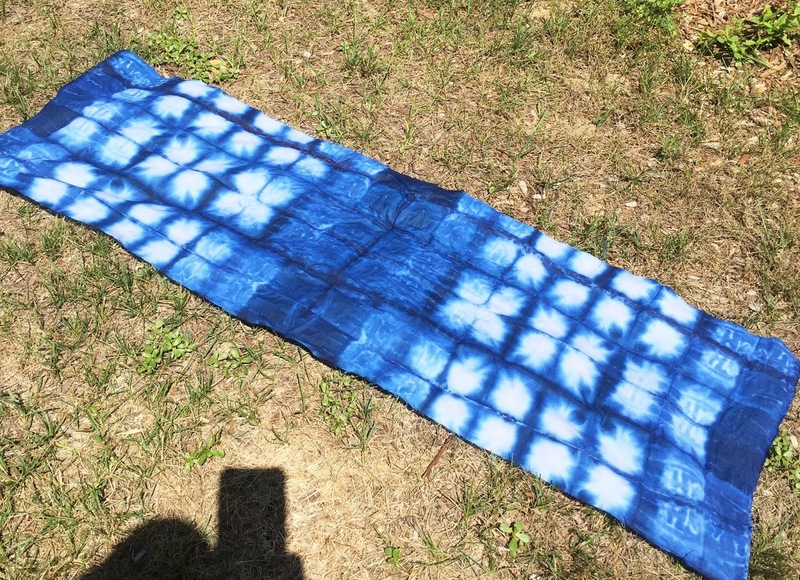 Last summer I learned a little bit about Shibori dyeing. 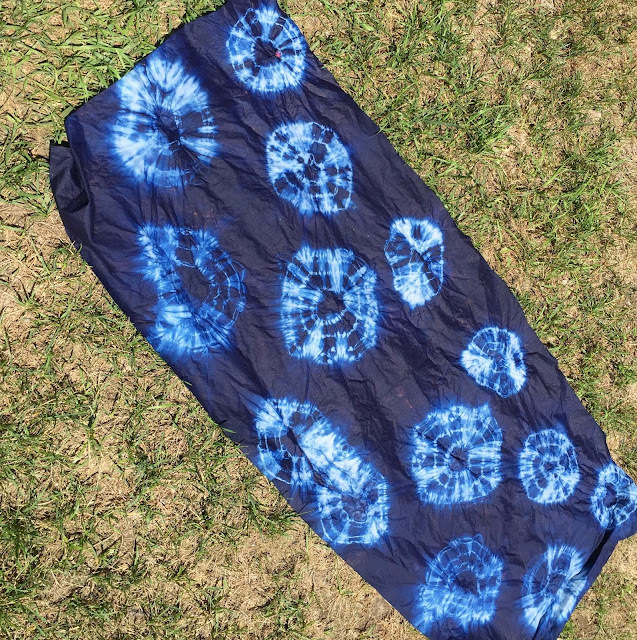 I love making different folds.The more I fold and dye, the more I've figured what general result each type of fold gives. But still, not knowing exactly what will be the final result is part of that art adventure. I'm sure you know exactly what I mean. This is one I think really came out nice because its got such great symmetry. I find the process fascinating. You can see my skills are at beginner level, but I'm still happy with my results. I find it interesting how slightly different folds and and how the rubber bands you use gives you such a totally different piece of fabric. That's some of the fun. 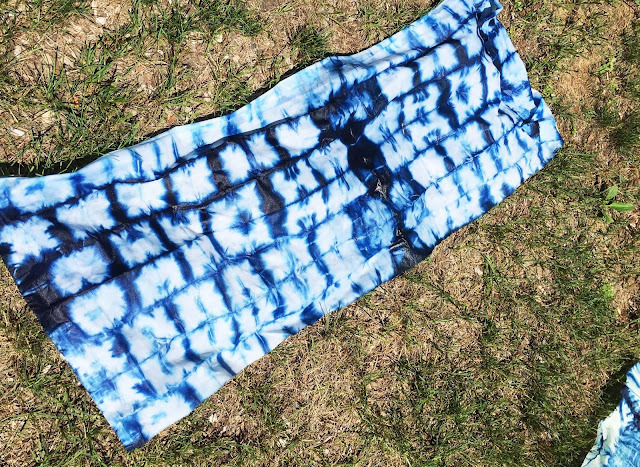 Then I tried folding and dyeing some colored fabric. I pulled out my scrap bin and pulled out some plain pieces. It was exciting to see how different colors worked with the blue dye. Here's some of those results. Hope you enjoyed your views today, and are having a great week so far. Thanks for stopping by, and I can't wait to join in with the T gang next week. 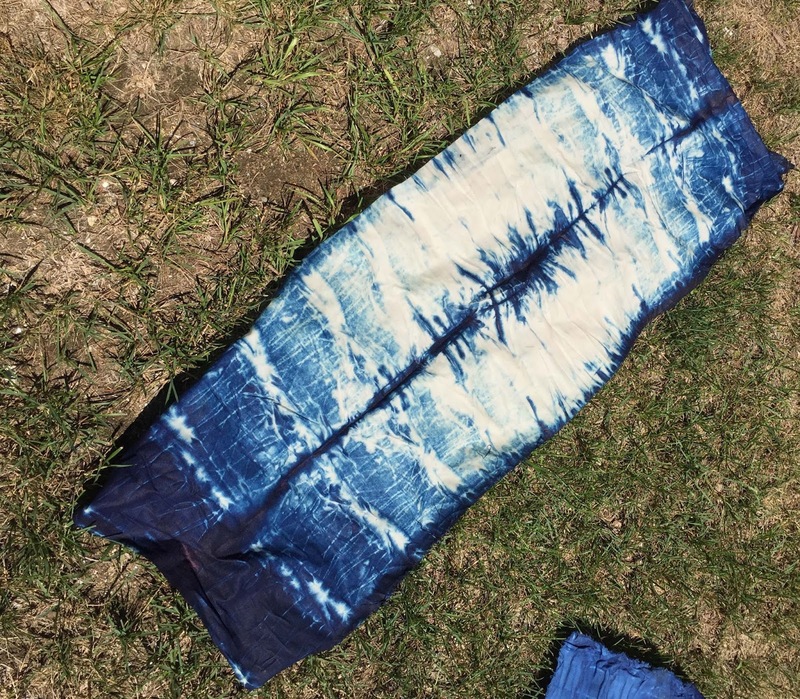 I'm always up for dyeing, and I would love to join you on one of these excursions. I think your folds are wonderful and some are brilliantly done and came out wonderful. I especially like the last two because you over-dyed the pre-dyed fabric. 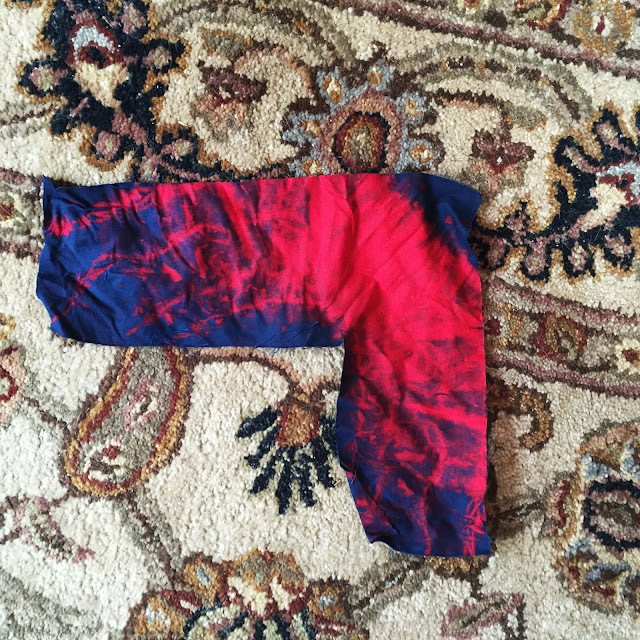 I was especially intrigued by how you got the one piece so flat throughout. This was a wonderful experiment. Hope you are having fun in the land of the midnight sun! Fantastic results with the dying. Look forward to seeing what you make. You've got some terrific results here with your folding techniques. It's quite exciting, isn't it, when you unwrap the dried fabric. (I've done a bit of the shibori dying). Hope you had a great holiday (assuming you are reading this when you get home). Fantastic what you got here! SUPER!!!! These are really fun. I've never done much dyeing but I can see why it would be appealing!